A new heartwarming novel from the #1 New York Times- bestselling author. 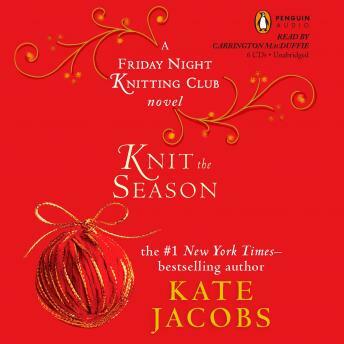 Knit the Season is a loving, moving, laugh-out-loud celebration of special times with friends and family. The story begins a year after the end of Knit Two, with Dakota Walker's trip to spend the Christmas holidays with her Gran in Scotland-accompanied by her father, her grandparents, and her mother's best friend, Catherine. Together, they share a trove of happy memories about Christmases past with Dakota's mom, Georgia Walker-from Georgia's childhood to her blissful time as a doting new mom. From Thanksgiving through Hanuk­kah and Christmas to New Year's, Knit the Season is a novel about the richness of family bonds and the joys of friendship.